The committee keeps the club running smoothly throughout the year. They are elected by popular vote in April each year. They organise club events, sessions, and trips with the help and for the enjoyment of all members. Here are the contact details for the 2018-2019 committee: if there is anything you want to know, feel free to get in touch! 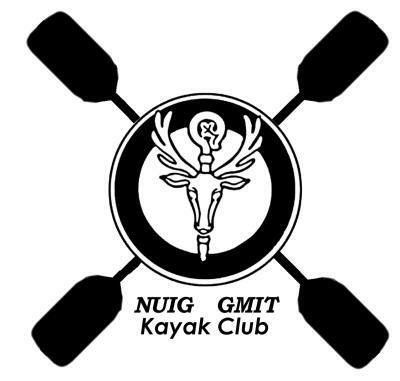 If your question is about the website or the forum please email admins@nuigkc.com ! Podge steers the metaphorical ship that is the kayak club. He keeps the club focused on the year's goals, as well as making sure that necessary menial tasks are being performed. This basically means that anything that happens is Podge's fault. This role entails a lot of nagging, aggressive reminders, and hand-holding. He is also the person who liaises with the NUIG Sports Office. Daniel is second in command. It's his responsibility to make sure that the club and all its members are behaving within the rules set out in the Club Rulebook. His main task throughout the year is to complete the Risk Assessment for any club trips. He also has a secondary role as Child and Vulnerable Adult Protection Officer. Any underage members or vulnerable adult members of the club should make themselves known to the Safety Officer. Fergal encourages the overall advancement of paddlers. He has two major tasks during the year: coming up with the session timetables and outline the session curriculum, and, more importantly, creating a training plan for varsities. Varsities usually takes place in February and is the club's major competition during the year. Fergal also organises Level 2 and 3 Assessments and Instructor Training throughout the year. Hareykeeps the club account and justifies club spending. The position often requires saying the word ‘no’ and arguing your point until you’ve beat the will out of all other club members. He is responsible for collecting trip money, session profits, and paying club costs. If you owe the club money, he will track you down. Henry makes sure all club gear is in proper working order and keeps an inventory. This includes boats, paddles, cags, decks, BAs, and helmets. It is also his responsibility to ensure that the shed is kept tidy and the wetsuits are washed after every use. Clean up after yourselves and Henry won't have to call your mam! Ciana is responsible for keeping the club correspondences, Meeting Minutes and Club Calendar. She provides research for club trips about accommodation and transportation. This position often requires representing the club to potential suppliers and corresponding with business owners to negotiate fair prices for trips. As Public Relations Officer, it is James' responsibility to promote the club in every way possible. He is responsible for keeping everyone (current, past and potential members) up-to-date with club news, trips, and session times. He organises the weekly Wednesday Night Talks and social gatherings. It is also his job to post on social media (Facebook, Instagram, SnapChat, the website) and keep the pages looking fly as hell. So if you have any great club photos send them his way! Ciara is the defender of new paddlers within the club. It is the job of the entire committee to integrate newer members into the club, but Ciara makes sure that newer members are integrating well. As such she is approachable and willing to help any first year that is having issues within the club. Mainly though, she must log attendances for all club events online and organise the weekly pool sessions on Tuesday nights. Rob is responsible for representing the interests of the GMIT members of the club. It is also his job to promote the club at GMIT and gain new members every year. Rob liaises with the GMIT Sport’s Office and procures funding for GMIT students within the club.